Join us for a fabulous party and full buffet dinner, with shwarma, sliders etc and good drink. Services and Hakafot at 7:30PM, full buffet dinner will follow. 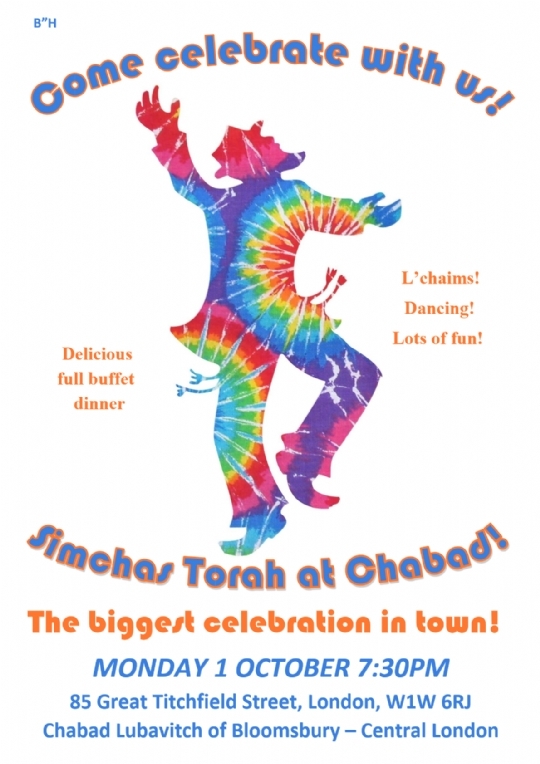 Get your dancing shoes on and let's celebrate with the Torah! There is no need to book for this, just show up and bring your friends.